This post is brought to you in collaboration with Marigold Technology Inc. All opinions are mine alone. Could you use a few tips to help kids organize their rooms? You’ll love this post. Here I’m sharing my tips and 36 FREE Printable Labels to help get everything organized. 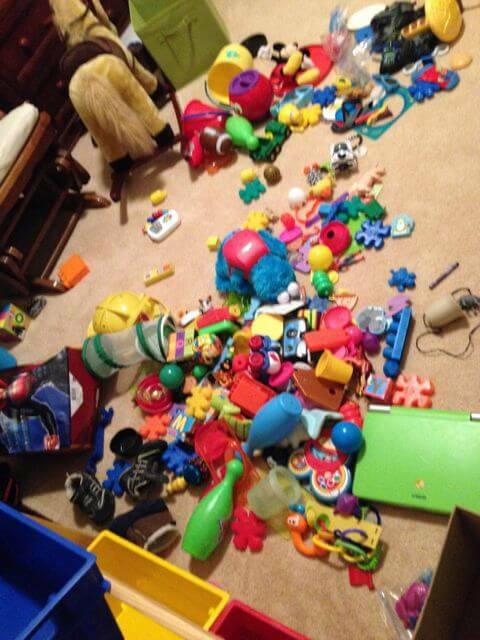 One of the toughest challenges for us as parents, is teaching our boys how to organize their rooms. I have one child who is naturally organized, and another who has to see everything dumped out on the floor before he is willing to look for it. 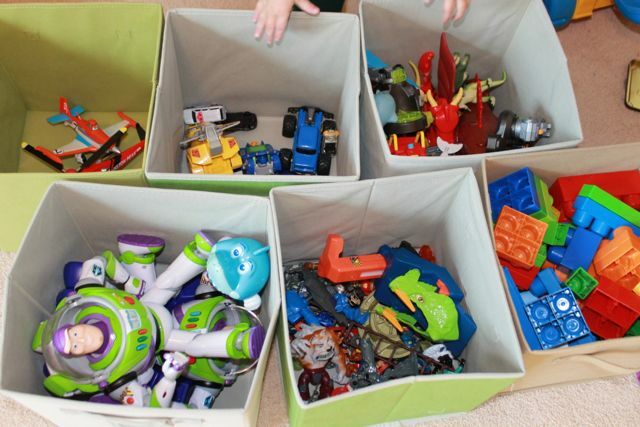 Teaching kids how to organize their things is an ongoing process. Now, no one in our home is perfectly organized, but I have found a few things that can be particularly helpful. 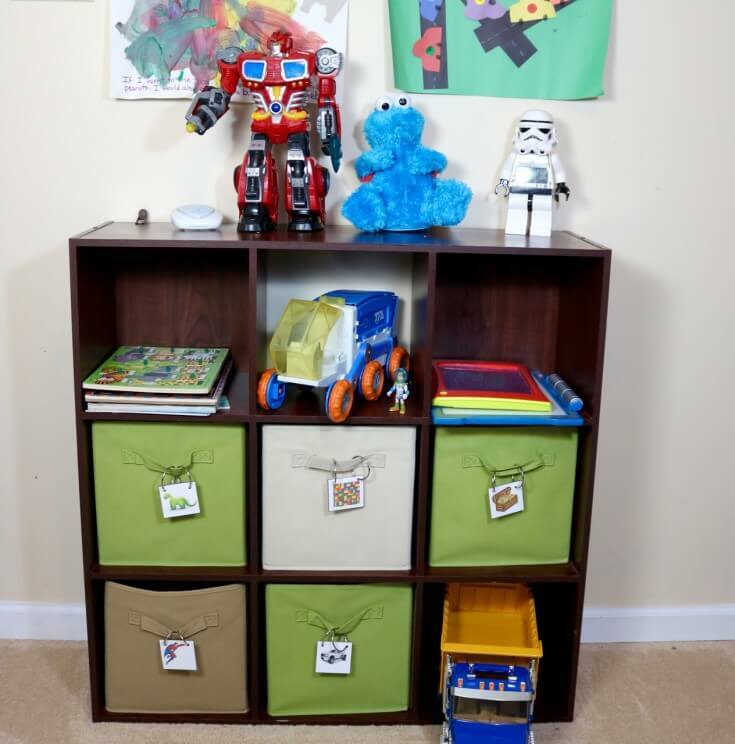 Creating easily identifiable spaces for kids can not only help them organize their rooms, it makes it easier to find things and put them away. One of my missions as a mom is to raise kids who clean up after themselves, so creating a system that works is a high priority in our home. To aide in this mission – creating easily identifiable spaces for kids – I’ve created a series of bin labels for my boys. Now here you can see two of the three sheets of labels. There are 36 images in all. These labels can be used for organizing boys’ or girls’ rooms. My four year old doesn’t know how to read yet, so picture based labels are very helpful. There are no words on the labels since the focus is on teaching the skill of organizing. The Marigold 9″ Pouch Thermal Laminator is so easy to use. Just turn it on, load it from the front with your printable encased in a thermal pouch and voila. It produced perfectly laminated labels in just seconds. Now, I wish getting the kids to pick up their things was as easy as laminating labels. Sigh, it’s an ongoing process, but I have seen an improvement since we implemented this visual system. 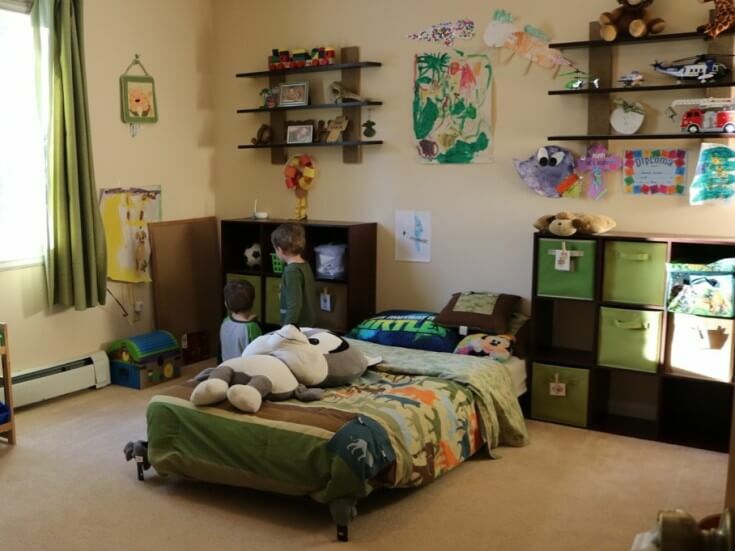 Watch this 75 second video for tips on helping kids keep their room organized. Make them a part of the process. I ask my four-year-old which bin gets each label. He has an opinion. Reward sincere efforts. My boys love it when I give them a hug and a high “5” — it makes everyone smile. As with any new skill, mastery requires repetition. Don’t be afraid to stop, take a breathe during the day and re-walk a child through the skill of organizing. Remember – practice makes perfect! There are three sheets of 12 images each for a total of 36 images. I’ve created labels for both boys and girls. The following is a list of the labels that are included in this series of bin labels for organizing kids’ toys. 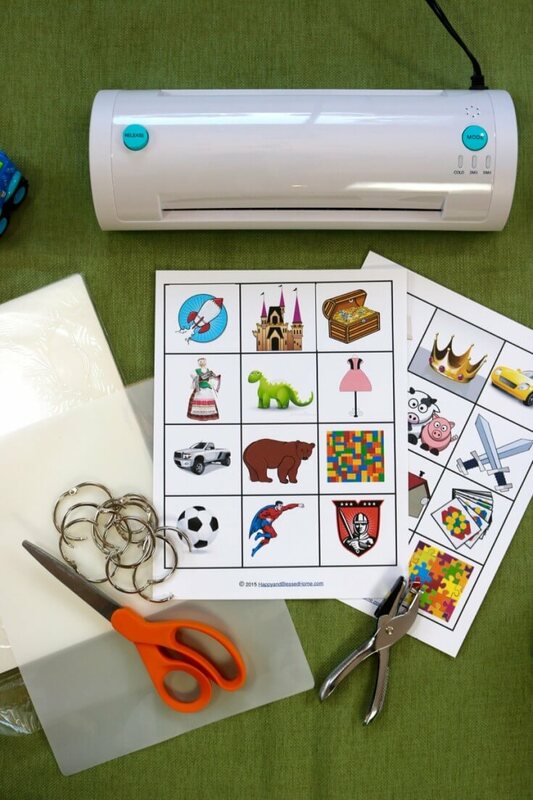 Just click the yellow “download” button below to get your FREE copy of 36 Labels to help organize Kids’ Rooms. What’s your favorite way to organize kids’ rooms? How do you organize kid’s rooms? Do you find these labels helpful? Please leave a comment and offer your tips to HappyandBlessedHome.com readers. I always love hearing from readers and fans! Speaking of kids, I have some wonderful activities for creating memorable family-fun. These are some of the family fun posts loved by nearly 50,000 fans! Make sure to subscribe so you don’t miss any of my free printables, easy recipes, or games and activities for family fun! Subscribe Here. Thanks for being a fan! Do you have a board for organizing, or school supplies on Pinterest? Help spread the word and PIN this post on Pinterest!